So far so good. I trained arms and did cardio last night after work so I got to the gym at 10:45,lifted then left at 1:30,cooked my meal for the morning and got home at 2:15. Then slept for 45 minutes an woke up to eat before I started fasting,2 slices of Ezekiel bread,5 egg whites,24 grams of olive oil. I couldn’t down anymore because I had eaten my post workout meal(brown rice with protein shake) about an hour and a half before. So I’m in front of the grill and today is actually a really nice day out,68 degrees cool. 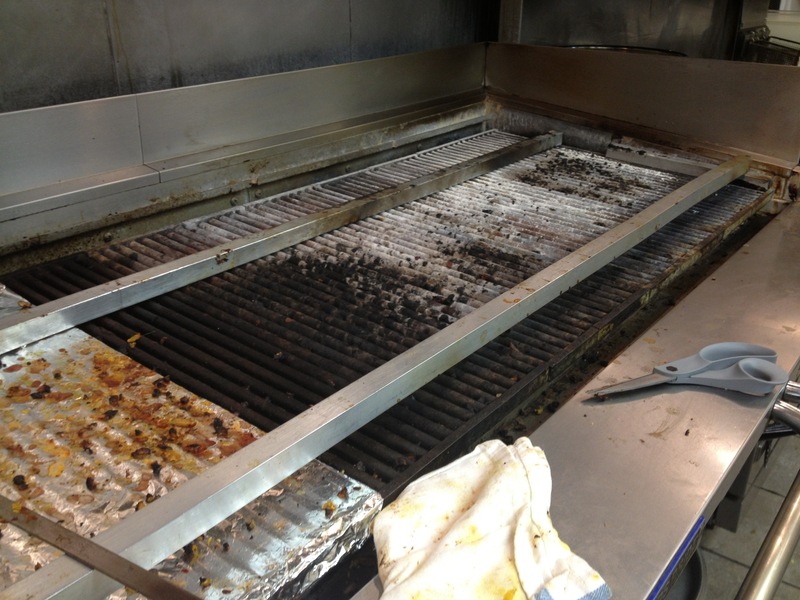 This is the grill I’m in front of all day,6 days a week,150 degrees. So it’s 9:53, I broke my fast,ate dumplings & drank 1 gallon of water,next time I’ll just use a hose! I cooked my food for tomorrow morning since it’s totally different type of diet that coach is giving me,then when I break my fast I’ll have enough energy to work out tomorrow night since I’ll be able to catch more sleep tonight. We will see how tomorrow is inshAllah.